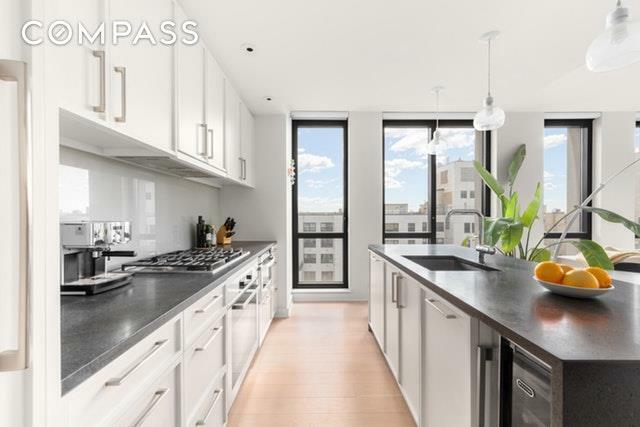 Hovering above the heart of the Gramercy Park Neighborhood, residence 19C is an almost 1,300 square foot 2 bedroom, 2-bath condominium home in a new, full-service building with inspiring open city views that include Gramercy Park itself. The triple exposures benefit from floor-to-ceiling windows that bathe this home with light all day long from the south, east and west and melt into a nighttime scape that takes your breath away. 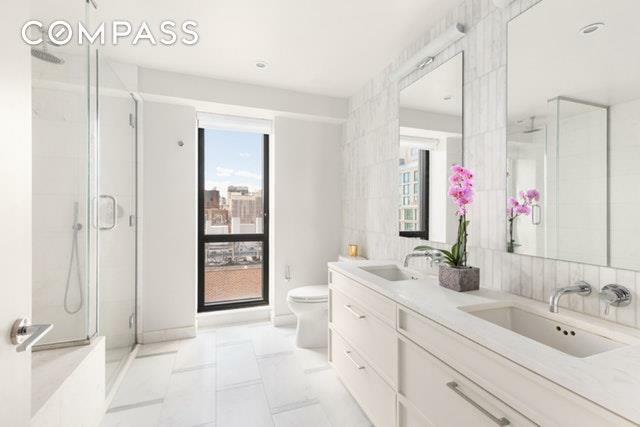 Enjoy glorious views of iconic Manhattan landmarks, such as the Empire State building, the Clock Tower and The New York Life building from this high floor apartment.An entry gallery greets you and leads past a powder room to the main living room, perfectly positioned on the South-East corner. A stylish open chef's kitchen features an Island with stone countertops, a Sub-Zero refrigerator, Miele gas cooktop and oven, Miele dishwasher and a 15-Bottle Wine Chiller. There is a Bosch washer and dryer in a hall closet too. 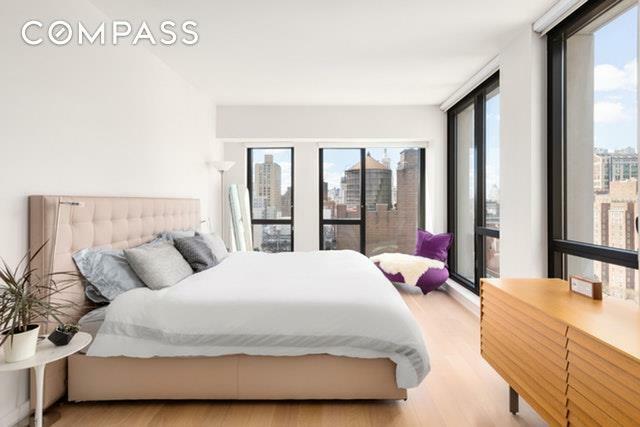 With just three apartments per floor, this residence features 5" white oak wood floors throughout. The master bedroom features a large walk-in closet and an en-suite spa bathroom with a soaking tub, separate shower, and double sinks. 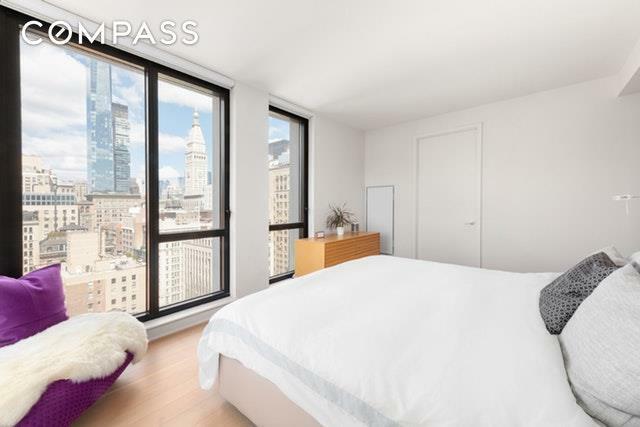 A second bedroom and full bathroom complete the picture.This full-service building is conveniently located close to all transportation, Gramercy Park, Union Square Farmer's Market, Madison Square Park, Eataly, all shopping and a superb variety of restaurants. The amenities in this impressive, recently completed building, elegantly clad in timeless gray Indiana limestone, include a 24-hour attended front desk, resident manager, cold storage, state of the art fitness center, playroom, planted roof deck with barbeque and panoramic city views. The building is pet-friendly and a 421-A tax abatement reduces taxes for the next several years. Reserve Fund Contribution of 1 Month Common Charge and Working Capital Contribution of 1 Month Common Charge payable by buyer at closing.